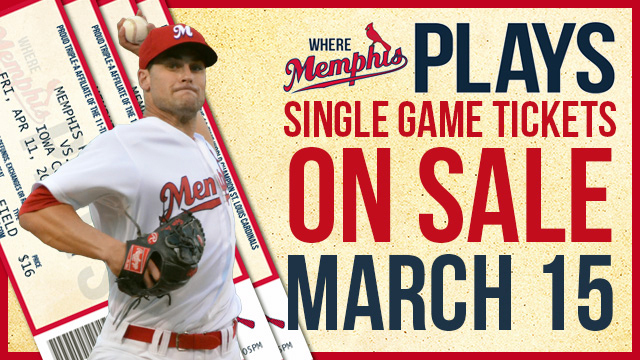 The Memphis Redbirds announced today that individual tickets for the 2014 regular season and the St. Louis Cardinals Exhibition Game will go on sale to the general public at 10 a.m. on Saturday, March 15th. Check out the Redbirds’ website for more details. After an eight-game road trip to begin the 2014 regular season campaign, the Redbirds will celebrate AutoZone Park’s 15th Anniversary season beginning with a 7:05 p.m. home opener on Friday, April 11th against the Iowa Cubs (Triple-A Cubs).